Prototype: German Railroad, Inc. (DB AG) type Bimdz 268.6 InterRegio passenger car, 2nd class with a bicycle compartment. Model: The car is ready for installation of a current-conducting car connection, either the plug-in 7319 close coupling drawbar or the 72020 close coupler that can be uncoupled. The car has adjustable buffers. Length over the buffers 27 cm / 10-5/8. DC wheel set 4 x 700580. 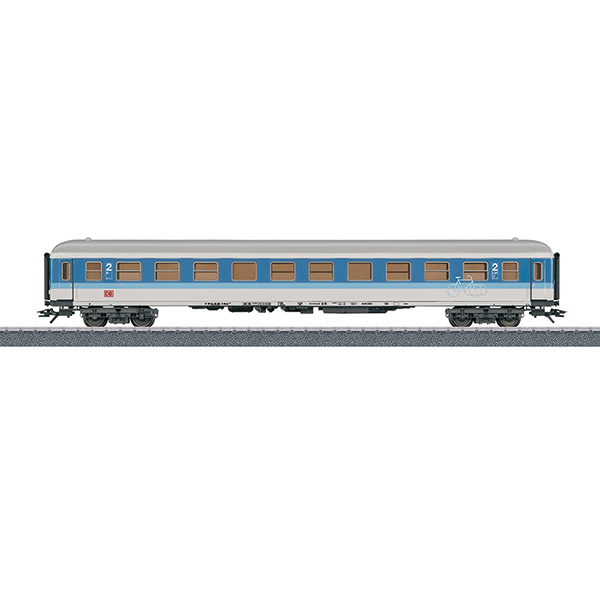 This express train passenger car goes well with item nos. 43500, 43501, 43502, and 43550.